Washington DC Documentary photographer visits Cuba capturing the people and the scenes that make this titan of an island so special. The Malecon (officially Avenida de Maceo) is Havana’s iconic roadway and seawall. It stretches 8 km (5 miles) along the coast from the Havana Harbor to the neighborhood of Centro Habana, ending in Vedado. 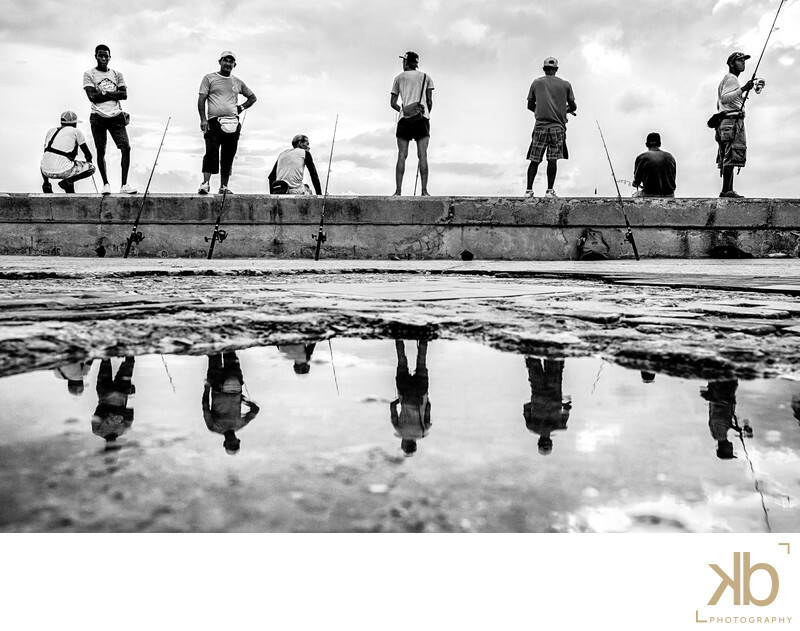 Fishermen gather here daily to not only fish, but to enjoy the popular the sights and sounds of this social hotspot for every day Cubans. Location: Malecon La Habana Cuba.